NuBodySculpting is a certified Vaser hi-def liposuction services provider with thirteen clinics spread all over UK. Looking good is now just within your reach and at a cost that will fit into your budget just perfectly. Vase hi-def is known as third-generation liposuction surgery that happens to offer better results almost immediately compared to traditional liposuction method. Moreover, it is also a non-surgical method and patients experience little to no downtime. Vaser liposuction is a remedy for anyone and is applied on areas of body where stubborn fats accumulate. It helps you get perfect features and sculpted body. However, the cost of the treatment remains a concern for most. Vaser hi-definition treatment is not cheap but the results are too good to avoid. The average cost of the treatment may vary between £2,600 and £3,000. However, it varies largely depending on nature of treatment, facilities provided, clinic, etc. To lessen the pocket pinch we offer flexible payment and financing options to clients. In collaboration with First medical Loan, NuBodySculpting offers various flexible financing choices that will help you pick a plan according to your budget. All charges will be discussed upfront once you commit for the treatment. Once discussed, there is no hidden cost and everything will be put above the table. Each client in NuBodySculpting is given a thorough counselling before and during the treatment to help them form a clear idea of what to expect from the surgery. This has helped us achieve 100% customer satisfaction. NuBodySculpting further meets all regulation compliances by local authorities for performing various aesthetic surgeries. 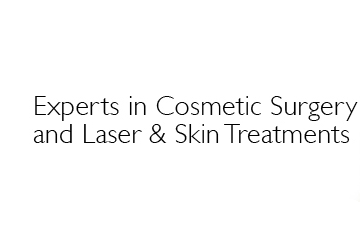 It is therefore your trusted destination for all types of beautification and cosmetic surgery treatments.